To contact us, Leave a Reply below. A writer, researcher, broadcaster and producer, Harriet Sugar Miller has been a freelance health journalist in Montreal and a cancer survivor for three decades. Prior to that, she practiced law with the Coudert Brothers firm in New York City. 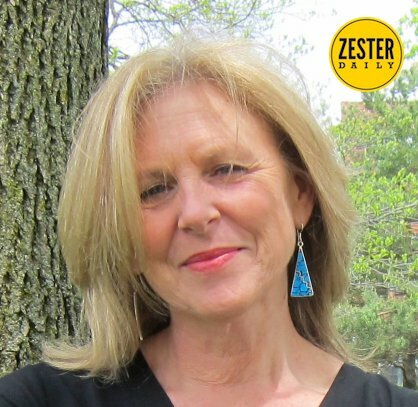 She blogs about food, plant food primarily–for Zester Daily , Huff Post and The Anti-Cancer Club, which calls her a top expert on nutrition and cancer. Trained by the Canadian Broadcasting Corporation, Canada’s public TV network, she broke the trans fat story on national television in the early 90s–long before others were talking trans–and for several years, wrote, produced and hosted a health show for the PBS TV station in upstate New York. Harriet hails from the swampy Cape Fear region of North Carolina (Think David Lynch/Blue Velvet) and hangs out online in several provocative health forums. Click here for her short demo tape. Visit Glowing Older® for lifestyle tips; join the diet and inflammation discussion on Facebook. Check out Plantastic Kitchen’s® debut on you tube: The Hairy Secret to Peeling Onions. Book and website launching soon. Very interesting blog, as useful for prevention as for disease management. Thanks for sharing the tips. Very useful! Yes, sardines and herring and anchovies are also good sources of omega 3 fatty acids but the cleanliness of those wild fish would depend on where they’ve been living. Herring from the Baltic, for example, are likely to be more contaminated than sockeye or pink salmon from Alaska (which also feed fairly low on the chain) because the Baltic is polluted. At this point, salmon from Alaska are not showing signs of Fukushima radiation, but that situation could change. The waters off Chile and Peru are among the world’s cleanest, but I have no idea how to purchase wild fish from there. Does anybody know how? Is anybody interested in starting a business selling South American sardines? i don’t eat salmon as often as i ”should” (cooking inside the smell of fish lingers)…but i do get my daily supplement of omega 3s from a pharmaceutical grade of oil under ‘ascenta’…sold at whole foods and other stores. what is your op of this approach? Fish oil supplements of omega 3s are a good substitute. Just make sure you’re buying a purified brand. For those who don’t want fish, you can also purchase micro-algae supplements. Have you ever thought of sharing some of these recipes on Recipes.ca? It would be a great way to reach more people – you could link your recipes right back to your website. It’s completely free and only takes a few minutes to sign up! Hope to see you join! 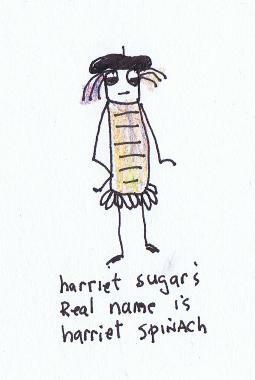 Hi Harriet, I’ve nominated you for the One Lovely Blog Award. There’s no obligation to accept or re-post it, this is just my way of saying ‘I enjoy reading your posts and love the work you’re doing here’. Thank you for the information you gives. Since 2000, when my mum became ill, it has been the hottest subject for me. She had a lung cancer. I’ve just started to create my own blog dedicated to the same topic – the healthy diet to fight and prevent cancer but in Russian. Could you please give me your permeation to use information from your site on mine (certainly, with links to your site)? Thank you in advance and all the best wishes to you. Prior to April 2011 I would have appreciated the article on salmon’s various sources & BPA-free cans, etc. Doesn’t matter now, however, since the entire Pacific is awash in radiation from the damaged (& still unrepaired) Fukushima nuclear plant. Everyone knows it, but most of us seem to be in denial. Spring 2014 –and the tests on Alaska’s salmon are still coming up clean. We are now entering the critical time period when those currents carrying Fukushima radiation may be reaching Alaska. I’m following the story. how important is it to eat raw beets vs cooking them? According to nutritiondata.com, cooked beets have more betaine than raw beets. Betaine is a nutrient that helps control methylation of our genes, a process that’s key to DNA synthesis and repair. Dr. Oz, however, suggested that beets should be eaten raw in order to reap their cardiovascular benefits. I think the key with many of these vegetables is to eat some raw and some cooked. Certain nutrients in plants appear to be activated by heat (lycopene, for sure, maybe quercetin, for example) while others are killed by heat (e.g., the enzymes that turn alliums and crucifers into cancer-fighters), and scientists have not yet answered all those questions. Until then, you can hedge your bets by seeking variety. I should add one more qualification: Whenever you do cook beets (or any other vegetable), keep the cooking time short. A quick steam, saute, or steam-saute is best. If you buy small beets and quarter them, they should take about 15 minutes max to steam. Yes, Turkey Tail mushrooms appear promising. As with most foods, science has yet to figure out the optimal dosages. Thanks for the suggestion, Sandy. Harriet – as an MD (onco-immunologist) I am delighted at the education you are offering. Bravo! Hi Harriet, I’m AJ Earley. I am a personal chef from Boise, Idaho and I absolutely love your blog! It’s come in very handy for me, especially when helping out clients suffering from various forms of cancer. I’ve accrued some healthy, cancer-fighting recipes over the years and I would love to share a few of them in a guest post on your blog. Let me know what you think, and I look forward to hearing from you! Send me a recipe or three, and we’ll discuss, AJ. The info you are imparting to otheres is a very useful work to society. I was planning to start low carb, low protien and hgh fa diet for a friend with bladder cancer. You have mentioned in one place that fat can aggravate some slow cancers. So do you think the Ketoginic diet is not right for him? Unfortunately, I really can’t answer your question. The research on fatty acids and cancer is quite preliminary. If I were your friend, I would focus on eating vegetables–especially alliums and crucifers–and herbs and spices and berries and limit carbohydrates and even protein. As for fats, I’d stick to plant fats–legumes, avocado (Haas, the ones with black, bumpy skins), extra virgin olive oil. Limit nuts/seeds to a handful /day–and emphasize chia. As for grains, buckwheat is a good choice. High quality green tea is also important. Check out my newest posts–a three part series summarizing the latest research on anti-cancer diets. I’ll be releasing Parts 2 and 3 over the next couple of weeks. I have not received a post from you in months and months. I just tried to subscribe again and got message back I am already subscribed. Did you get the Dec. 31 post? It’s the first post I’ve written in a long while (as I’ve been trying to finish up writing a book). Could you please create a post outlining a daily and weekly meal plan. I very much appreciate your detailed and informative blog. Did you get my email? Please contact me at hsugarmill@gmail.com.